India outlays almost 3% of its GDP for keeping its armed forces battle ready. India is expected to spend over USD 100 billion within the next decade to acquire the latest defence equipments. Traditionally, the needs of the armed forces have been met by global players. However, this has been a major burner to the restricted defence budget of India. A major chunk of this is concentrated towards modernising the Indian Air Force (IAF), which is the fourth largest air force in the world. The Air Force’s plans to rapidly modernise its fleet has come as a blessing to the country’s aerospace, with business projections being pegged at over $ 50 billions. From manufacturing a monoplane, to designing and developing, the lightest 4th generation fighter aircraft, Indian aerospace industry has grown by leaps and bounds. Today, the country’s aerospace industry has firmly fortified its position in the global arena and is expected to breach the US $ 10 billion mark by 2020. The beginnings of the Indian aerospace industry dates back to 1940 when Walchand Hirachand set-up the Hindustan Aircraft at Bangalore. The corporation started with a modest history of building and overhauling monoplanes. History was written in golden words for the Indian aerospace industry when a Hindustan Aircraft Ltd built ‘Curtiss Hawk P36’ took to skies on 31st July 1942. With the onset of the World War II, the establishment was taken over by the allied forces. Hindustan Aircraft was given a major infrastructural boost. Over the course of the war, it was converted to a mega aircraft overhauling centre by the allied forces. The organisation became one of the biggest aircraft overhauling centres in the Eastern Hemisphere. The legendary HAL Marut fighter aircraft. Source – Net. Soon after independence the organisation was taken over by the Indian government. The evolving Asian arms race meant India had to master the complex weapon manufacturing cycles to meet the needs of its armed forces. India set up multiple state-run Public Sector Undertaking (PSU) corporations to promote defence manufacturing industrial bases. These PSU’s were designated as manufacturing hubs and they were to be supported by DRDO laboratories. Hindustan Aircraft was merged with various aeronautical organisations and the present Hindustan Aeronautics Limited (HAL) was formed in 1964 as PSU solely responsible for meeting the aviation requirements of the forces. HAL was thus put in–charge of shaping the aeronautical sector of India. Under the leadership of Kurt Tank, designers and engineers at HAL rolled out India’s aerospace showpiece the ‘Marut HF-241 Supersonic’ fighter aircraft. The design phase for the aircraft began around 1956 and was extensively supported by HAL’s in-house R&D centres. The aircraft made its debut flight on 17th June 1961 and this signalled India’s major leap into the complex aerospace world. A total of 140 ‘Marut HF-241’ fighter aircraft were built. The aircraft played a vital role in the fierce 1971 Indo-Pak war and won ‘three Vir-Chakras’ for the Indian Air Force. International sanctions imposed upon India after ‘Smiling Buddha’ – India’s first nuclear test – ruptured the global logistics supply chain of the program and this finally ended the Marut era in India. The haunting ghost of a two front war scenario forced India to boost its war preparedness level. In an effort to boost the capabilities of its air force, India concluded a deal for the MiG-21 fighter aircraft with the Russians. Accordingly, India started locally manufacturing the MiG 21 fighter aircraft under a licence agreement from 1963. The MiG-21’s throttled on to become the backbone of the IAF and obliterated enemy aircraft in ensuing air battles. By 70’s, Indian aerospace industry was thriving with activity. Aeronautical establishments were working with zeal to put India on the global map. In July 1970, HAL started the helicopter division to locally manufacture rotary aircraft. Under this division, India mass produced the French-origin Chetak and Cheetah helicopters. To date, these copters serve the armed forces at some of the most inhospitable conditions. Indigenously developed Rustom Drone. Courtesy & Credits – Tarmak007. HAL apart from this also started setting up dedicated Research and Development (R&D) centres throughout the country. These centres were aimed at meeting the increasing technological demands of the armed forces. These centres were manned by some of the most intellectual brains and gave path blazing technologies. HAL also concentrated on setting up vast Maintenance, Repair and Overhaul (MRO) bases which have overhauled countless aircraft of the IAF. The country’s aeronautical outreach was being defined by the tedious Transfer of Technology (ToT) agreements. Engineers and strategic planners had for long advocated of mastering the complex technologies by building in-house developmental centres. With the MiG-21’s nearing their shelf life, India stared at the prospectus of locally manufacturing a fighter aircraft. HAL had acquired substantial knowledge during the Marut project. India’s aeronautical industry entered into a new era when India decided to indigenously design and develop a fighter aircraft. Thus conceived was the Light Combat Aircraft (LCA) program that would propel India to the world arena. The Aeronautical Development Agency (ADA), an independent developmental authority, was set-up as the lead design and developer for the LCA program. DRDO – India’s premier defence research and development agency, spruced up its laboratories throughout the country. Dedicated aeronautical institutions were set-up in and across Bengaluru, the aerospace capital of India. The LCA program came as a blessing to the dwindling aerospace industry in the country and substantially boosted the R&D and manufacturing facilities. Developmental works for Tejas began in 1990 when HAL, ADA and other partners signed a MoU. Simultaneously, HAL under its thriving helicopter division started the development of the indigenously developed Advanced Light Helicopter (ALH) which made its debut flight on 30th August 1992. HAL Dhruv entered service in 2002 and is considered one of HAL’s most successful product. Dhruv was inducted in large numbers and went on to serve in the hostile ‘Siachen Glacier’. The ALH was exported to Nepal, Israel and Ecuador. 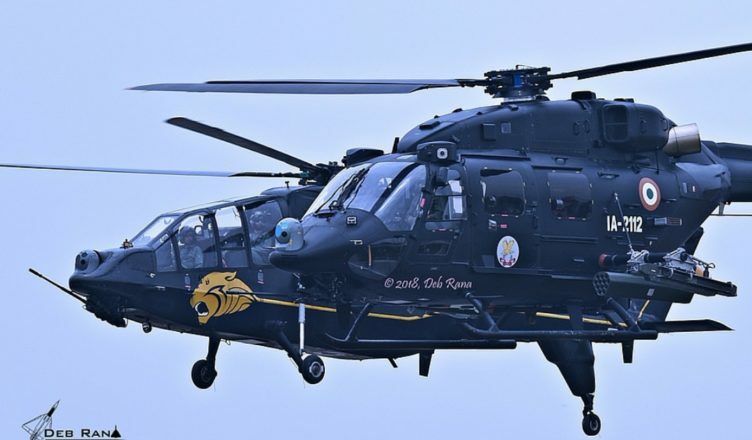 The copter has clocked over 140,000 hours and serving with the Sarang aerobatics team of the IAF, it has been a showpiece of India’s aerospace might. The first aircraft under the LCA program designated ‘TD-1’ was dedicated to the nation in December 1995. The country had successfully designed and developed a supersonic combat aircraft. Battering all the hurdles, the indigenously mastered ‘LCA Tejas’ took to skies on 4th January 2001. India’s aerospace industry had throttled to its pinnacle. The aircraft put up a spectacular 20 minute flight. Every flight Tejas made was a new learning experience to the aeronautical fraternity. Tejas underwent extensive up-gradations and had completed its 100th flight by September 2003. Tejas was helping India carefully conquer the brazen heights. 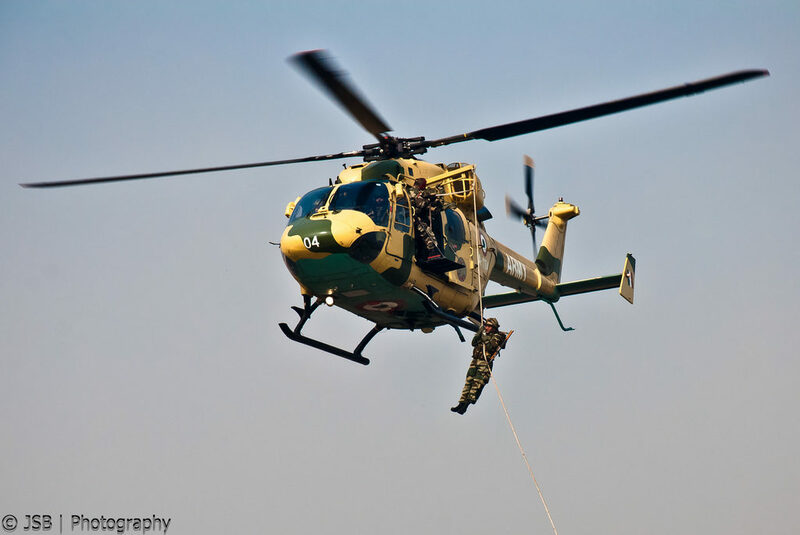 A Dhruv Helicopter in service with the Indian Army hovers as soldiers are inserted into the front lines. Till date, Tejas has clocked over 4000 hours and has remarkably flown without a single negative incident. The maiden squadron of the aircraft was raised with two aircraft by the IAF in 2016 and this has set a new tone in Air Force’s acquisition model. One of the most significant milestone events in the country’s aerospace industry came when the Indian government based on the recommendations of the ‘Kelkar committee’ opened up the aerospace industry to the private sector. It was a major boost to the maturing industry and this has helped to source the best technology to be sourced in for indigenous programs. Further, the introduction of the offsets clauses also paved the way for investments from Foreign Original Equipment Manufacturers (OEM). The technology they imparted to Indian manufacturers has revolutionised the industry. Indian giants like Tata Group, Mahindra and Mahindra and the state-owned HAL corporation created partnerships with these global giants. This paved the way for the concept of ‘transnational companies’ to be set-up in India. Boeing and Airbus were working towards making India a hub for MRO (Maintenance, Repair and Overhaul) activities. Airbus ratified its agreement with HAL for manufacturing various components for the ‘A320’ jets. OEM’s were aiming to increase the work share to drastically reduce the manufacturing cost. The core competence base of India received a major boost when international vendors flooded the industry with the latest technology. Using India’s IT sector, aero-models, simulators, critical software systems and various other computer components were manufactured. Honeywell concentrated on boosting the R&D sector and inducted two research centres. The defence aerospace sector has truly evolved around the ToT agreements. India’s contract with Irkut and Sukhoi of Russia to acquire the Su-30 MKI air superiority fighter aircraft has provided the country with capabilities to assemble and manufacture a highly-advanced 4-generation heavy fighter indigenously. While initially, HAL produced these aircraft from Semi-Knocked Down (SKD) kits. Gradually, the production cycle moved on to the more complex Completely Knocked Down (CKD) kit stage. Overtime, the corporation has mastered the production cycle of these jets and the Su-30’s are currently being manufactured in India from basic raw materials. HAL has rolled out 245+ Su-30 aircraft till date and has successfully absorbed the technology. HAL has also successfully mastered the ToT for Jaguar deep penetration fighter aircraft and ‘BAE Hawk’ trainer aircraft. HAL has built more than 90+ Hawk aircraft till date. The Light Combat Helicopter (LCH) and the future of the LCA program is being termed as true public-private partnership. To boost the civilian aerospace sector, HAL has been relentlessly working with NAL – India’s only civilian aerospace laboratory. 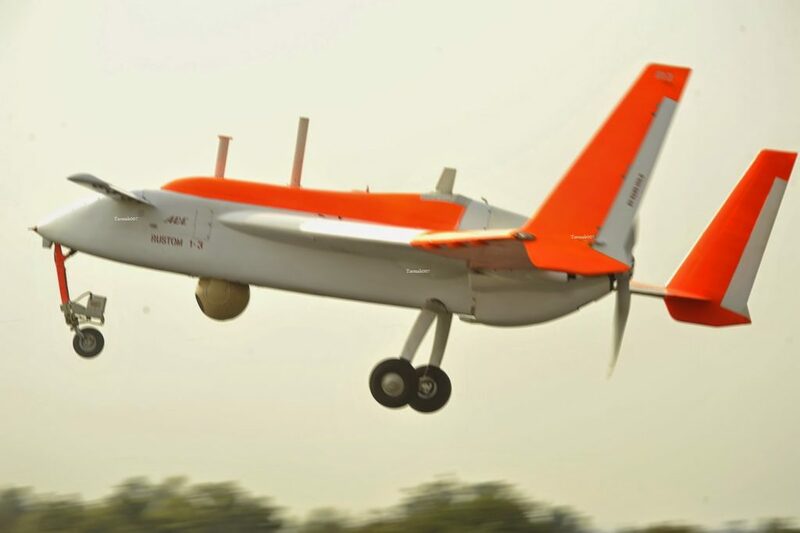 HAL and NAL aim to revolutionize the civilian aerospace sector by developing regional aircraft. The corporations have developed Saras and Hansa civilian aircraft. Unfortunately success with these programs have been limited. HAL and NAL now aim to build inter-regional aircraft with the support of international vendors. ‘LCA Tejas’ has emerged as one of the best fighter aircraft in the world. Composite structures used in designing the aircraft have made it possible to build the lightest combat aircraft. Tejas was inducted into the air force in January 2015 after attaining its second airworthiness certification – IOC-II. The aircraft is majestically throttling towards the all crucial FOC phase and by July, 2019 the aircraft will be available for active duty. India is allowing 100% FDI for setting up MRO centres, flying training schools and technology training centres. This move coupled with the largely available skilled labour base has successfully stimulated the aerospace industry. Global vendors have drastically increased the work share with Indian partners and this has helped India to make a mark in the global logistics supply chain. HAL today produces almost half of the Airbus A-320 forward passenger doors. HCL, Infosys and Wipro are leading software solution providers for Airbus and Boeing. 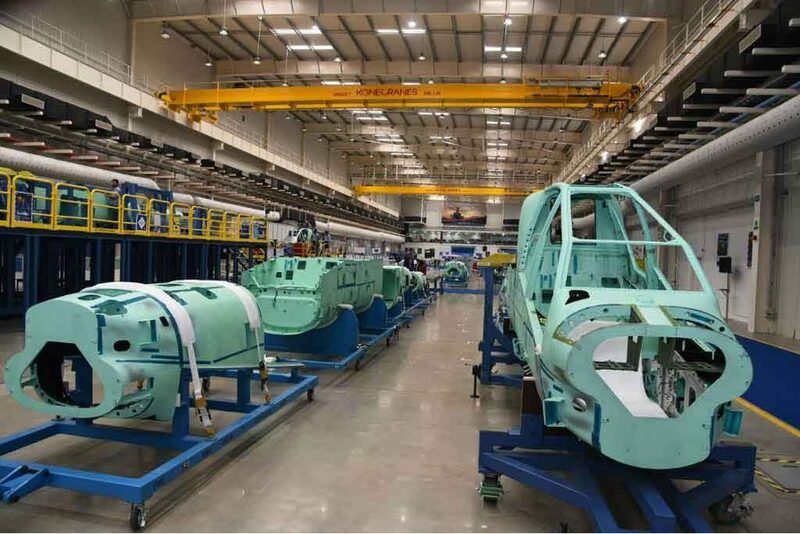 Tata Advanced Systems, Mahindra Aerospace and Aequs are leading Tier-1 designers and manufacturers of aero structures. Tata Advanced Systems is a leading partner of Boeing and is producing various aeronautical systems. Larsen & Toubro, India’s leading defence equipment manufacturer is working closely with European companies. More than 2000 small and medium aerospace enterprises are working towards making India a self reliant aerospace power. HAL has evolved to a world-class aerospace organization. It is ranked the 34th best aeronautical institution in the world. A key part in HAL’s success story is the 19 highly advanced production divisions. These centres are supported by 9 Research and Development (R&D) centres. HAL has successfully developed 12 types of aircraft and has mastered the production of over 14 types of aircraft under licence production. HAL caters to almost 80% of the IAF’s maintenance requirements. The corporation has a vendor base of 2,500 Tier 2 and Tier 3 companies. The company having sales over USD 3 billion is one of the largest aeronautical companies in the Asian market. The Indian aerospace industry has drastically evolved from its modest history of producing a monoplane to designing and developing the world’s lightest combat aircraft. 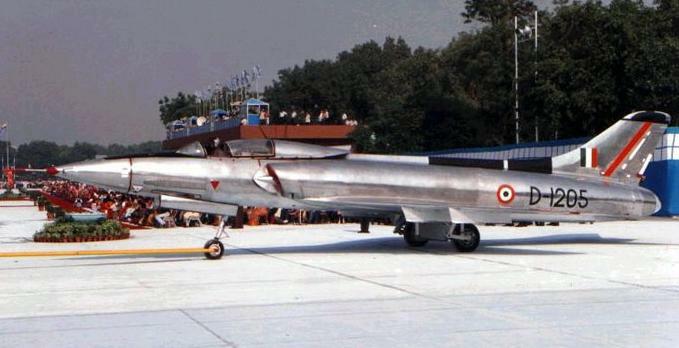 Marut HF-24 – India’s first supersonic fighter aircraft was built in a record time of 14 years. Every Airbus or Boeing aircraft being produced today is partly made in India. Various private industries have redefined the reach of India’s aerospace capabilities. Catalysts to India’s growth are the private industries and the government should make renewed efforts in promoting MSME’s. The Indian aerospace industry is expected to outwit every other regional competitor and emerge as the world’s largest industry by 2022.